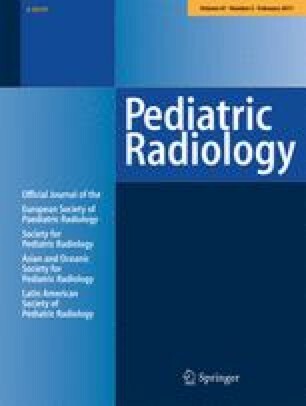 Children with Alagille syndrome undergo surveillance radiologic examinations as they are at risk for developing cirrhosis and hepatocellular carcinoma. There is limited literature on the imaging of liver masses in Alagille syndrome. We report the ultrasound (US) and magnetic resonance imaging (MRI) appearances of incidental benign giant hepatic regenerative nodules in this population. To describe the imaging findings of giant regenerative nodules in patients with Alagille syndrome. A retrospective search of the hospital database was performed to find all cases of hepatic masses in patients with Alagille syndrome during a 10-year period. Imaging, clinical charts, laboratory data and available pathology were reviewed and analyzed and summarized for each patient. 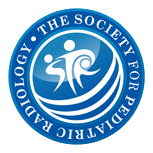 Twenty of 45 patients with confirmed Alagille syndrome had imaging studies. Of those, we identified six with giant focal liver masses. All six patients had large central hepatic masses that were remarkably similar on US and MRI, in addition to having features of cirrhosis. In each case, the mass was located in hepatic segment VIII and imaging showed the mass splaying the main portal venous branches at the hepatic hilum, as well as smaller portal and hepatic venous branches coursing through them. On MRI, signal intensity of the mass was isointense to liver on T1-weighted sequences in four of six patients, but hyperintense on T1 in two of six patients. In all six cases, the mass was hypointense on T2- weighted sequences. The mass post-contrast was isointense to adjacent liver in all phases in five the cases. Five out of six patients had pathological correlation demonstrating preserved ductal architecture confirming the final diagnosis of a regenerative nodule. Giant hepatic regenerative nodules with characteristic US and MR features can occur in patients with Alagille syndrome with underlying cirrhosis. Recognizing these lesions as benign giant hepatic regenerative nodules should, thereby, mitigate any need for intervention.